At MWC LG introduced the V30S ThinQ and the V30S+ ThinQ. We know, the names are hard. The new models are essentially the same as the LG V30, but have more RAM and internal memory. The most important innovation is the camera, which LG has taught a few tricks. We have a pre-series V30S+ ThinQ in house and got a closer look at the new functions. Even an experienced observer will hardly notice the difference between the LG V30 and the V30S+ ThinQ. Externally, the only difference between the two models is the choice of colors: the V30S+ is available in New Platinum Gray and New Moroccan Blue. The manufacturing is at a high level, perhaps even a little better than the V30’s, and that applies to one issue we needed to address with the V30: the display wasn’t particularly good on our standard model. With the V30S+, there are no problems with brightness distribution. It almost looks as if LG has optimized their production with the V30S+. The camera is still only average. LG has added some new features on the software (more on that later), but the quality of the photos hasn’t significantly increased and can’t keep up with the top-range Galaxy S8/S9 and the Pixel (XL). The wide-angle camera, on the other hand, is practical for taking interesting photos. So let’s turn to the decisive difference, the camera. Nothing has changed in the camera hardware, and the photo quality also hasn’t changed considerably either. Instead, with artificial intelligence implemented in the smartphone, LG has added two intelligent functions to the camera. The first one is the AI Cam. It recognizes objects and motifs and selects suitable image modes. LG describes this recognition nicely: wherever the software detects an object, whatever has been detected appears in words and is hidden after a few seconds. You could almost say that the ‘tag cloud’ is always recognizing things in stranger ways. For example, the software claimed that there was a musical instrument in the picture below. At first that might sound like the function is broken, but that would be the wrong conclusion. The AI Cam doesn’t switch to a special image mode until enough small-sized images have been detected. Despite recognizing certain individual objects incorrectly, the smartphone always switches to the correct picture mode if one is available (there are currently eight different picture modes). The food mode is probably the most interesting one, but different users might have another opinion. The main thing about the AI Cam is that it adjusts to image parameters for the motif correctly and also adjusts the coloring. The AI cam is currently not providing much real added value.This is essentially a second automatic mode that users have to actively select. Why not integrate the AI Cam directly into the standard automatic system? In the medium-term, the AI Cam features are expected to be incorporated into the automatic mode of the camera app, possibly without any optical feedback. The QLens brings object recognition to the shopping environment, so you can search for objects on Amazon or Pinterest. This works quite well depending on the object, but each new test delivers different individual results. But who needs it? Good question, for now it’s just an impressive tech demo. 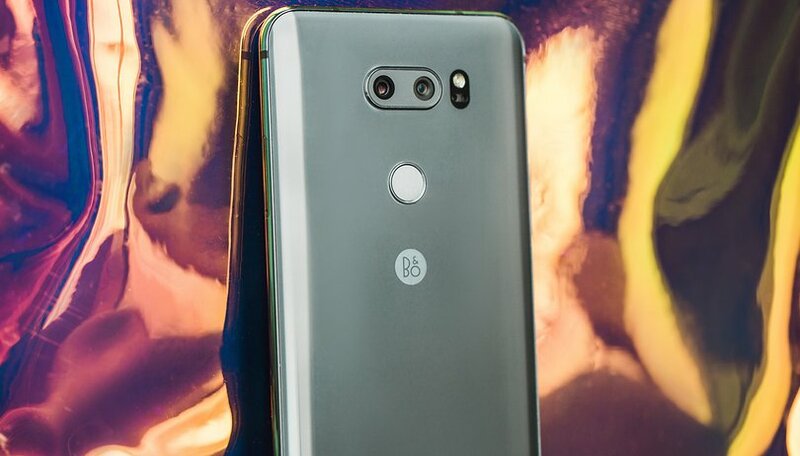 With the V30S+ ThinQ, LG has presented a model update with new camera functions that are also available via update for the V30, and the larger memory is nice, but not a real revolution. Overall, the V30S+ looks like the second generation of the V30, which achieved significant improvements in terms of the display. AI has taken over the camera app of the LG V30S+ ThinQ. The AI Cam provides quite good results, but the great added value still isn't there. For this to be the case, LG would have to push the integration of the software more strongly. We don’t know whether this will happen in this model cycle or whether it’s been planned at all. It is clear, however, that LG wants to use AI applications to set itself apart from other manufacturers. There’s not much to see yet, and without a doubt it will look quite different with upcoming LG smartphones. What do you think of LG's new device? Are you ready to jump on board or are you waiting for another device to hit the market? lol! AI tech in an LG phone equates to lipstick on a pig. an ugly, three-legged pig. I've pretty much decided the next phone should be bought for the camera, and maybe some real money for a change if the hardware and tech is right - unfortunately, innovations are increasingly hard to judge right now. I'm intrigued with Google buying Lytro and its patents, which has incredible potential for focus and compositing in small format devices like phones or "Clips" with Google's AI simplifying use of Lytro output. Not hard to imagine the Pixel leaving everybody else in the dust in a couple of years.